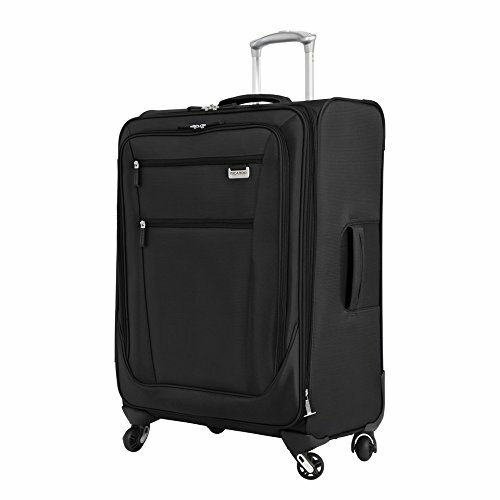 This del mar ultralight soft side collection features a new precision engineered spinner wheels and tray system that provides exceptional stability and mobility whether you push, pull or walk alongside the case. The retractable handle system has an ergonomic push-button handle that adjusts to the height that fits your comfort needs. Innovative cushioned top and side carry handle design is incredibly lightweight yet extremely durable. The interior has multiple pockets for you to organize you personal belongings. If you have any questions about this product by Ricardo Beverly Hills, contact us by completing and submitting the form below. If you are looking for a specif part number, please include it with your message.